AK and SKS owners will enjoy the cost savings and dependable performance of this Tula ammunition in 7.62x39mm. 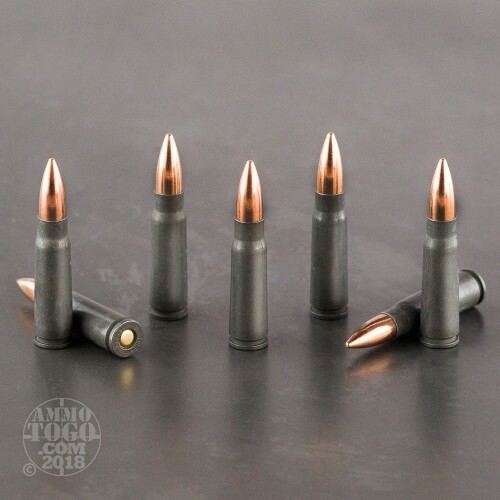 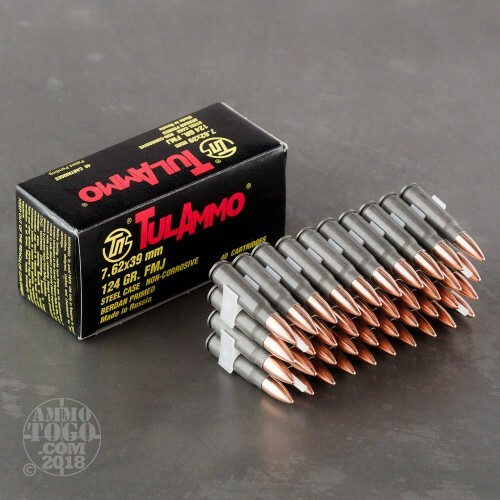 These cartridges come in a highly economical case of 1,000 and fire a 124 grain full metal jacket bullet that produces typical ballistics for this caliber. 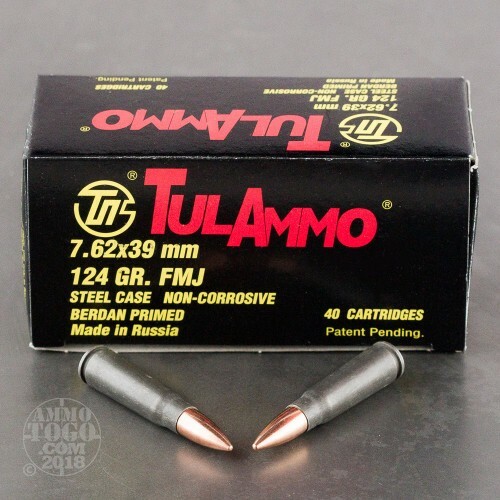 This ammo is loaded in Russia and uses non-corrosive Berdan primers and non-reloadable steel cases. 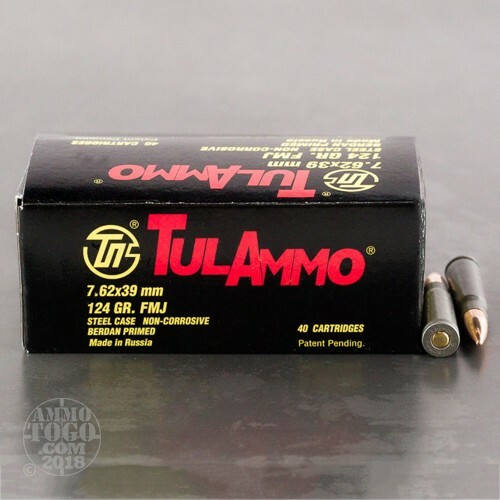 The cases are polymer-coated for improved cycling but have magnetic properties and thus may not be suitable for all indoor ranges.